If nothing else, I feel the color scheme just kind of matches. Maybe I'm crazy. I can't explain the way my brain works sometimes! I do know I've had this CD on my mind ever since Every Heartbeat was recently used in an episode of House. So, me and my strange brain and odd references aside, I had planned to wear this outfit back on the Sarah Jessica Parker Inspiration Monday. Then I found that other dress at Old Navy and so I ended up pushing this one back. 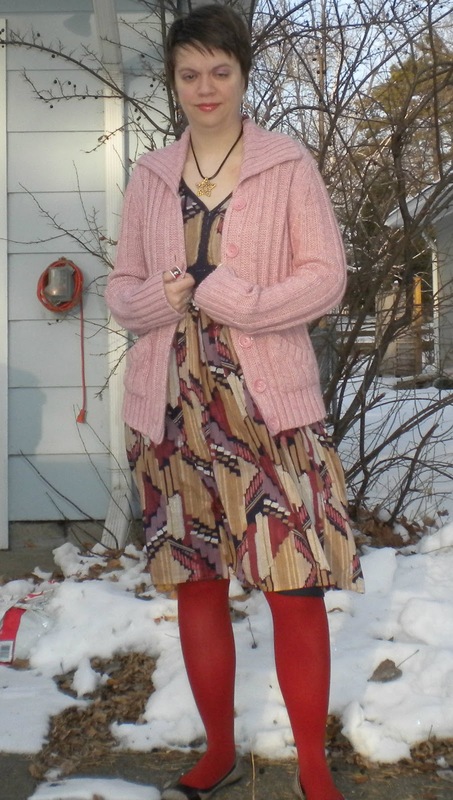 When I heard that it was going to be near 50 today, I realized that our winter days are numbered and so are the days left to wear sweaters and colored tights, so that made my decision today. Quite frankly, I'm probably even overdressed, but I just knew I wanted to try this combo with this dress before it gets terribly warm. Believe me, I'm still not done styling this dress too - I can't believe all the mixes I've come up with so far. So anyway, that's my story, I feel strangely like an album cover from my childhood and I'm overdressed for a mild day. I never said I was normal! How's your Tuesday going? Love the outfit! I really love that dress and I've enjoyed seeing all everything you have done with that dress. Love that dress, especially with those tights! 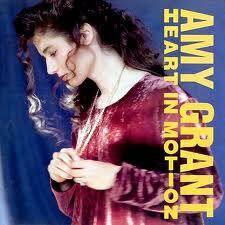 i never really got into amy grant...i might have been a bit too old when she was popular! i am sure i will miss tights come mid-summer, but today, not so much!! I forgot about that album! Now I've got the song stuck in my head! The pink and red look nice together. I din't listen to a lot of Amy Grant, but I loved Paula Abdul. I was raised in a religious household so I loved Amy Grant- I even have a signed postcard that I sent away for in fan mail! :) I LOVE your dress- the pattern is adorable! very pretty outfit! 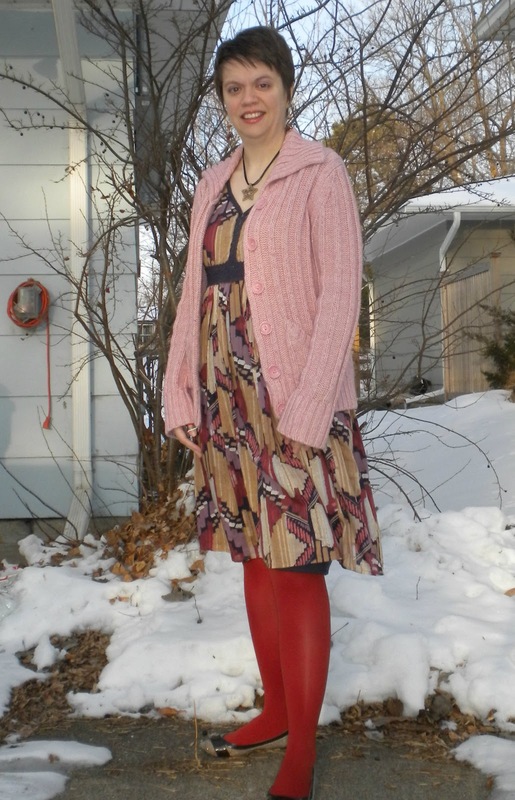 I like the red tights and the pink sweater. And the dress has a nice vintage feel. This is work appropriate and also a great outfit for a date night. I like Amy Grant too. I used to listen to her and Michael W Smith. Really like this dress and these colors, Beth.